This cage brings great bang for your buck! 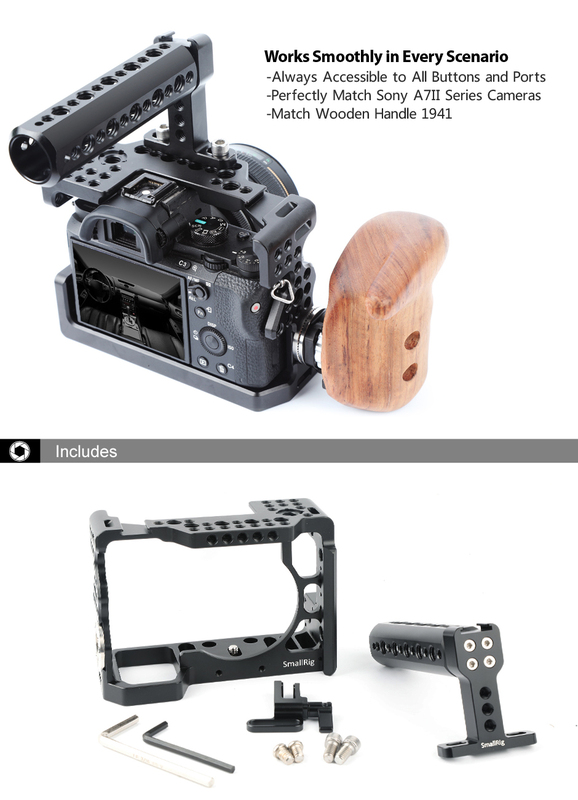 I love the top handle with the cold shoe mount, and the arri rosette on the right-hand side is a nice touch. The only thing that keeps me from giving it a 5/5 stars is the fact that even when my a7s II is screwed in tightly it will still slide back and forth about a half inch on the right side if you put a good a mount of pressure on it. Otherwise this is an amazing deal! 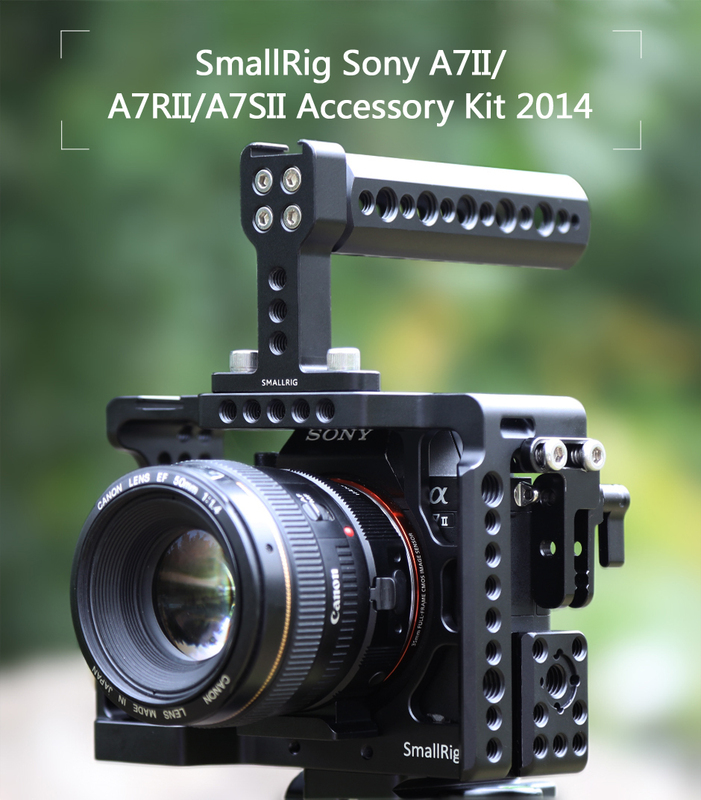 The cage fits my Sony A7 II perfectly, blocking no access to the ports and buttons of camera. The built-in cold shoe on the top could be mounted with flash lights, microphone or magic arm for monitor. The NATO rail on the left side could be mounted with NATO handle or EVF bracket. 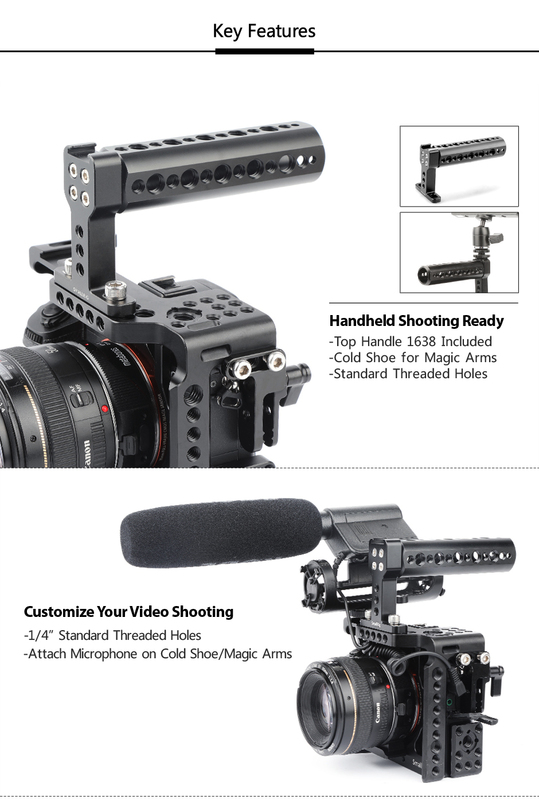 It also comes with eyelets for shoulder straps and wrist straps to prevent the camera rigs from accidental dropping during shooting. 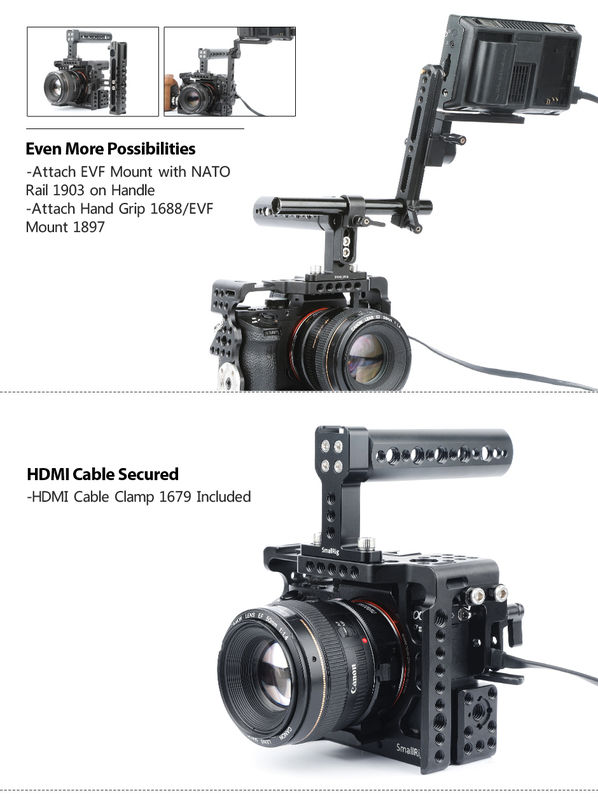 A HDMI lock is included to provide great protection for HDMI cable and thus ensures the transmission of signals during shooting. It is a good match and suits my taste! It is as always perfect quality and fits perfect for the a7S ii - I really can recommend buying it! I also bought the a7Riii Model! Awesome! Great little cage. Plenty of attachment points for accessories. Only problem i found was the cable clamp was slightly awkward to put the small HDMI plug into from the position i had.